Code Igniter is an open-source PHP framework which is used to create full-featured PHP based websites and applications. We create the fully functional PHP based applications and websites on MVC architecture with Codeignitor. Our focus is to offer applications that are compatible with various PHP versions, configurations and standard shared hosting accounts. Our proficient programmers are well versed with Code Igniter 3.0. Small and middle scale Php application can run fast with the minimal setup of Code Igniter framework. We can design and build a portal, corporate websites, professional website, corporate product, business site etc. with it. We provide dynamic, high quality, instinctive and organized web solutions to the clients. MVC Architecture: Code Igniter is known as the MVC framework. All our skilled programmers are proficient in comprehending and handling the Model-View-Controller architecture, which ultimately provides easy management and flexibility. Error-free Implementation: We offer error-free and genuine implementation of Code igniter. Our developers are well versed with the latest versions of PHP language and its configurations. They keep themselves abreast with the latest trend in the industry. 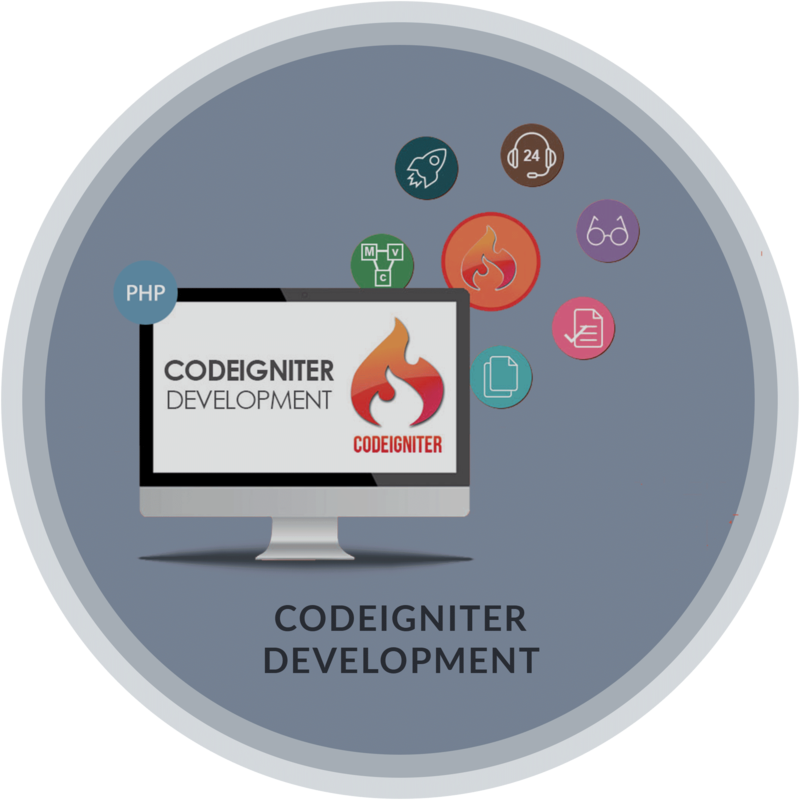 Speedy Development: Code Igniter framework is known for its quick development environment as it is powered by pre-written codes that have been saved in the library. Our developers make correct use of these codes for speedy development. Multiple Platform Support: We work on Linux, Mac OS, Windows to implement Code Igniter and attain better solutions. We also provide migration from one server to another easily.